In 2010 CSF board member Nils Stolpe conducted some exhaustive research into catch shares as a management tool and given what has transpired since it is worth looking over his findings today. That was about the scallop fleet but the impact is now decimating single boat owners in our New England groundfishery. It seems as if Dr. Jane Lubchenco, as the newly appointed head of the Commerce Department’s National Oceanic and Atmospheric Administration, didn’t even stop off at her new digs in DC to check on the freshly printed stationery before travelling to Boston and announcing that her agency was going to solve the ills of our fisheries by instituting a national policy “encouraging” the use of catch shares as the management technique of choice. 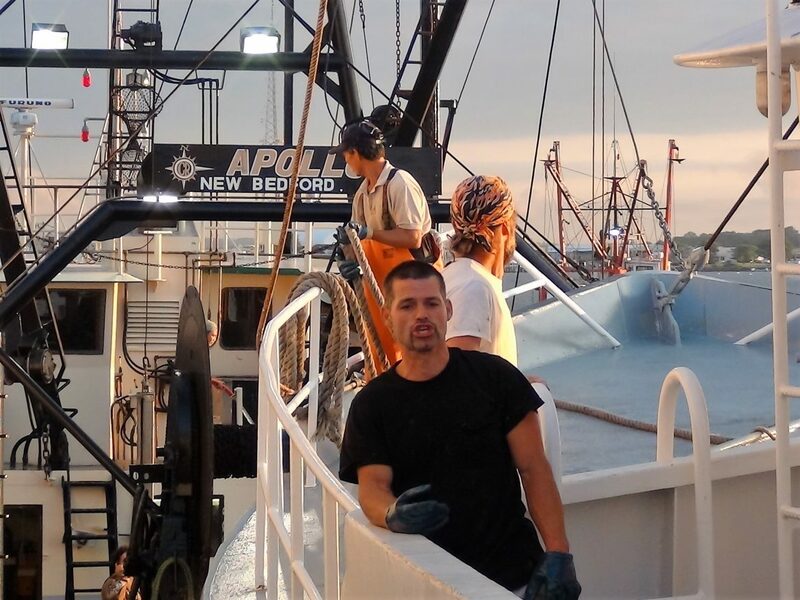 Boston, of course, is ground zero for ineffectual fisheries management revolving around the Northeast groundfish complex (to discover what ineffectual is really all about, read Chronic Underfishing at http://www.fishnet-usa.com/chronic_underfishing.htm). This was hardly surprising. Dr. Lubchenco had been on the Board of the Environmental Defense Fund (EDF), an ENGO that has been among the leaders in enthusiastically inflicting damage on fishermen, fishing-related businesses and fishing communities since doing so had become the rage among a handful of foundation funded “conservation” organizations. The people at EDF had been working towards the institutionalization of catch shares, and on establishing the financial infrastructure to capitalize on it, for years. What has been surprising is the cynical manipulation of our federal fisheries governance system that has been ongoing for a decade or so that it reveals; a manipulation that seems to have reached its apex since the new regime took over at NOAA/NMFS. This manipulation is most evident in the recently released NOAA/NMFS budget for Fiscal Year 2011 (available at http://www.corporateservices.noaa.gov/~nbo/11bluebook_highlights.html). Along with asking for $36.6 million in new money for the Catch Shares campaign, it transfers $11.4 million out of Fisheries Research and $6 million – about half of last year’s request – out of Cooperative Research into it as well. At first glance this seems only a simple matter of robbing Peter to pay Paul – shifting funding from one program area to another. But the fallout is going to be much more significant that that. It all begins with the fact that in recent years what is known as the “precautionary principle” has been zealously applied to fisheries management. Most simply, what this means is that the less is known about the status of a stock of fish, the more stringently fishing effort must be managed on that stock. Simplifying a bit, if a stock size is estimated with a 10% margin of error, it can be managed safely as if it’s at 90% of the estimate. If it is estimated with a 40% margin, it must be managed at 60% of the estimate. Hence, the worse the data on a fishery is, the more the fishermen have to pay – in terms of foregone harvest – for its inaccuracy. Needless to say, recreational and commercial fishermen realize this and are constantly striving for better science and better data, which can only be had through better research, i.e. larger research budgets. This is because at this point they know that the more that is known about fisheries, the better off they, and the fish, will be. species caught) than that done on research vessels by research crews. And more fish caught means more accurate estimates because while it’s impossible to catch fish if they aren’t there, it’s fairly easy to not catch them if they are. I don’t know of any fishery supported with a cooperative research program in which the harvest was reduced because of the data it provided. 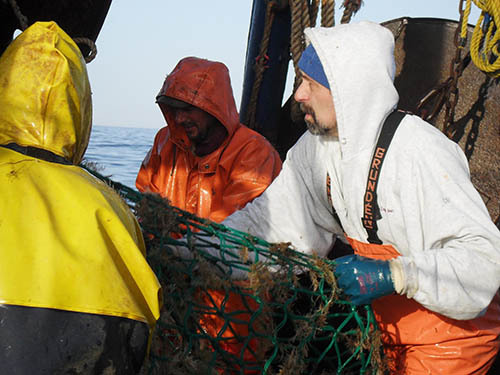 Cooperative research has been a win-win proposition for the fishermen, for the scientists and for the managers. 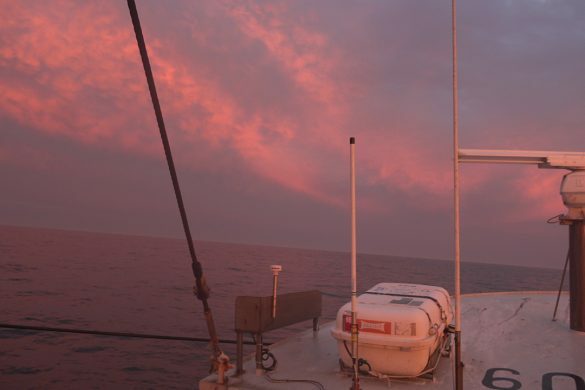 While not so popular, at least with fishermen, and perhaps not so accurate, the research carried out by NOAA/NMFS through its recently upgraded fleet of research vessels is just as critical to the fishermen and to the fish. Keeping in mind the mandates of the precautionary approach to fisheries management, the more we know about the status of the fish stocks, the closer we can approach their ideal harvest levels. You would think that would be in everyone’s interest, even the folks in the ENGOs and those at NOAA/NMFS. So why the big cuts in the Research and Cooperative Research budgets? Consider the fact that Dr. Lubchenco was wed to the almost completely untried concept of catch shares* through EDF before taking over as head of NOAA/NMFS and has continued in that union since she came to NOAA/NMFS. As I’ve written before, the plan to force catch shares on US fisheries will have revolutionary impacts on those fisheries, on the people in them and on the people, businesses and communities that depend on them. And, for many of those people, businesses and communities, those impacts will be devastating (as she put it a little more nicely though perhaps not quite as exactly, the shift to catch shares would result in “fewer jobs, but better jobs.”) Obviously such a revolutionary change and such economic hardship couldn’t be forced on millions of fishermen and the people and businesses that depended on them if everything was ok in their fisheries. There’d be no reason to, at least none that was acceptable to the public, to Congress or to President Obama’s administration with its recently declared focus on jobs. Now it doesn’t take a rocket scientist to figure out that better fisheries research means better fisheries data, nor that better fisheries data almost invariably means better catches for the fishermen. 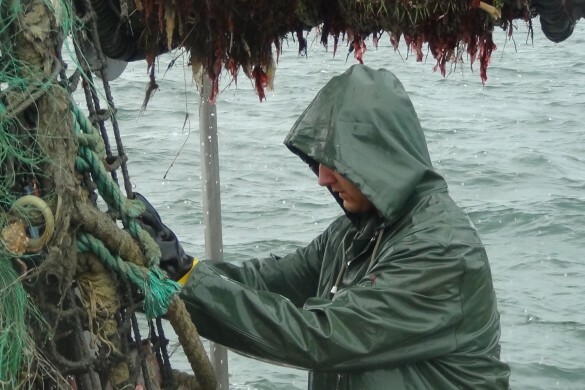 Taking two major Northeast fisheries, monkfish and sea scallops, as examples, a decade or so ago both were facing major cutbacks because the best available science indicated that the stocks weren’t doing well. In both fisheries, at the urging of the fishermen, who generally seem to have a good understanding of the status of the fish stocks they are fishing on, successful cooperative research programs were established that showed that the stocks weren’t in as bad shape as had been believed. The drastic cutbacks that were planned were avoided and the fisheries, the fishermen in them and the businesses that depend on them have thrived. Without that cooperative research, there would be two additional fisheries appearing to need the salvation offered by the imposition of catch shares. How many other fisheries could be brought back from the supposed brink of disaster, a brink enthusiastically manufactured by the ENGOs, by better science? That’s impossible to tell, but as I wrote above, more and better sampling is never going to indicate fewer fish than are actually there, but less and worse sampling definitely will. Couple that with the precautionary principle and you have a recipe for a real disaster – and that’s what NOAA and the ENGOs are going to need to sell their Catch Shares revolution. And we can’t forget the carrot that this fiscal shuffle holds out to the regional Fisheries Management Councils. They’re all in line to get big bucks for jumping on the Catch Shares choo choo as well. Can you imagine a bureaucrat or a bureaucracy that wouldn’t enthusiastically accept a budget increase, particularly considering the current state of the economy? They’re committed, not by force but by bureaucratic expediency. applying all of that knowledge gleaned from all of those other fisheries* (actually only 1.1% of all of the world’s fisheries, and those undoubtedly pre-selected for success), and we’re in business – at least a few of us – better than we’ve ever been before. But the 2011 Budget Request justifying the $50+ million for the Catch Shares program states “the funding also increases NMFS’ analytical capacity to evaluate and report performance of catch share monitoring programs with respect to economic performance, fleet behavior, annual catch limits, and bycatch reduction.” Someone at NOAA/NMFS (or EDF?) knows that catch shares are going to make it better for some of us, but doesn’t know any of those troubling specifics like which of “us” or how much better. It’s not a matter of robbing Peter, it’s more like taking his watch and wallet, beating him severely and leaving him bleeding in the gutter on his way home after his last day on the job. And then of determining who Paul is going to be. Not too surprisingly, NOAA/NMFS used the annual publication of the Fisheries of the United States 2009 by as another means of demonstrating how well they were doing at managing our nation’s fisheries. As recently usual, the NOAA/NMFS measure of management “success” was inversely related to the success of the fishing industry. 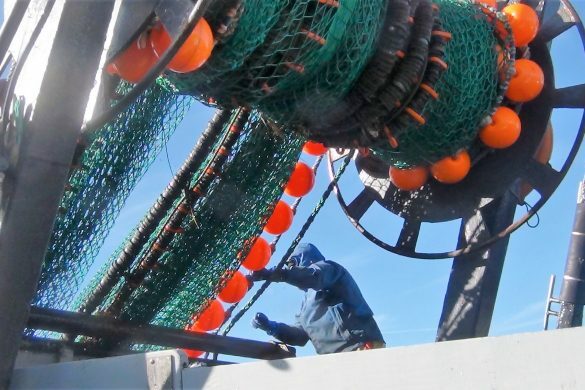 Gross landings by commercial fishermen were down, gross revenues to fishermen were down, and in some distorted form of bureaucratic envirothink, NOAA/NMFS claimed that it was getting better at doing its job of managing fisheries. Without getting too bogged down in specifics, compared to 2008, tonnage was down 208,000 metric tons – a decrease of 5% – and revenues were down $500,000,000 – a decrease of 11%. That’s the big picture. But, reaffirming that old adage, the devil really is in these details, particularly if you are NOAA head Jane Lubchenco and if you are bound and determined to force catch shares on the fishing industry as she and her cronies at Environmental Defense are. NOAA/NMFS lists a total of sixteen fisheries as being in whole or in part under some form of catch share management as of this year. Of these, eleven were, again in whole or in part, under catch share management prior to 2008. I have ignored the five in which catch share management was imposed after 2008, assuming that data from them would not be indicative of how those fisheries are doing. 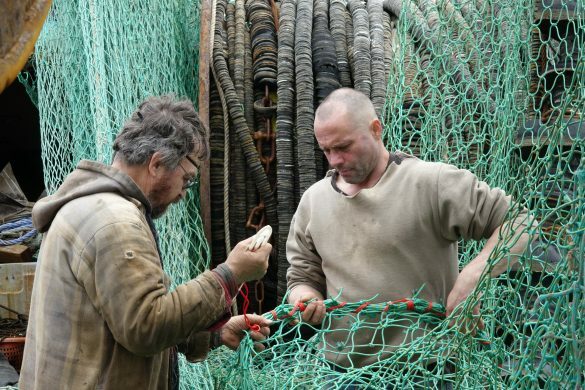 Of the remaining ten*, six showed diminished landings from 2008 to 2009 (78%) and six showed that those diminished landings resulted in diminished revenues to the fishermen (67%). 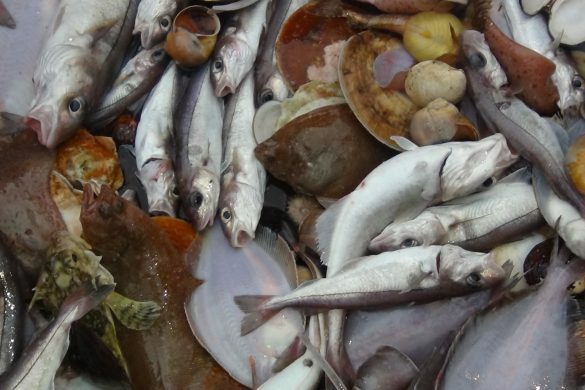 The tonnage losses ranged from 1% (sablefish) to 18% (walleye pollock) and the decreases in value ranged from 8% (surf clams) to 36% (halibut). The average for the eleven fisheries was a 7% loss by weight and a 13% loss by value. Two catch share fisheries increased in tonnage and three catch share fisheries increased in value. them (61%). The average for the one hundred and twenty-one non-catch share fisheries was a 7% increase in weight and a 3% decrease in value. On the average, fisheries not managed with catch shares performed significantly better than those in which catch shares were employed. 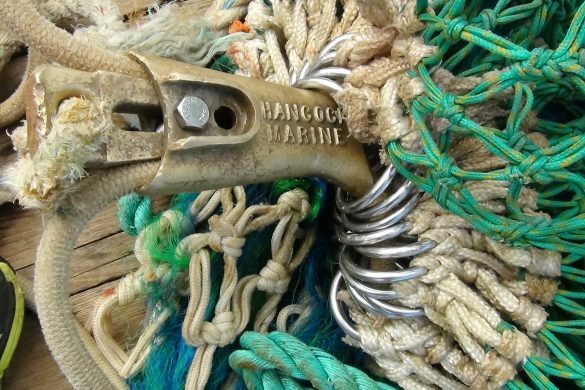 Landings in non-catch share fisheries were up by an average of 7%, compared to a loss of 7% in the catch share fisheries, and the value of the landings decreased by an average of 3%, compared to a decrease of 13%. And wreckfish, one of the handful of catch share fisheries is the only one out of the entire 130 plus fisheries that seems to have been fished “into oblivion” (or someone at NOAA/NMFS simply forgot about the fishery). Proponents of catch shares claim that their adoption in a fishery will have benefits to virtually everybody and everything connected to that fishery, including the fish. While that’s the kind of claim that’s really difficult to test, we’re fortunate that we have a particular fishery, the West Coast, sablefish fishery, which is managed by catch shares – and has been since 1995 – in Alaska and is managed traditionally throughout the remainder of its range in the U.S. (Washington, Oregon and Northern California). The total landings from the ITQ component of the fishery are approximately three times greater than those from the non-ITQ component. Looking at the landings and the revenues of the two components of the fishery in the charts below, it appears as if not much can be said regarding either form of management. In both, landings have been tending down and revenues have been tending up. So where are the benefits from catch shares? They don’t appear to be accruing to either the fish (less mortality) or the fishermen (increasing revenue) at differential rates. Production and revenues in the ITQ fishery have been declining fairly steadily since 2004 while landings in the non-ITQ fishery have been increasing since 2007 and revenues have been increasing since 2004. Since 1995 the ITQ fish have brought an average of $2.60 per pound and the non-ITQ fish have brought an average of $1.66 per pound. Whether this is due to how the fish are processed/handled, to an intrinsic difference in the fish as landed, or to a greater ability of the ITQ vessel owners/operators to “play the market” isn’t obvious. So it seems that, overall, catch shares aren’t automatically better for the fishermen than are the “traditional” forms of management employed in other fisheries. In fact, these data would argue that, at least from the gross tonnage and dollars and cents perspectives, they are noticeably worse (just consider the “disappearance” of one out of the nine established catch shares-managed fisheries). On a positive note, it seems that several fisheries managed by catch shares were capable of maintaining the revenues to the boats in the even face of declining landings. 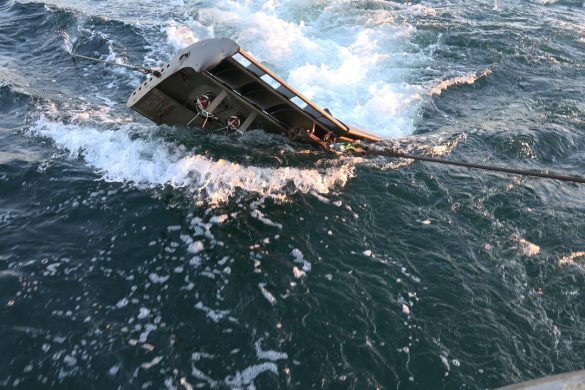 Of course, as in any other businesses, there are winners and losers when it comes to participants in catch sharemanaged fisheries, and if a reduced amount of fish is caught by an even more reduced number of boats, the owners of those boats will be doing better. But what about the involved fishing communities? Who wins with catch shares? How about the managers? If two-thirds of the fish are divided up among half of the fishermen, it would seem that managing those fishermen would become significantly easier, as would “managing” the fish (though we all know that there isn’t much that fisheries managers do that involves managing the fish, to outsiders it would appear that’s what they do). And, considering that up until now it’s proven impossible to institute catch shares in any form that doesn’t involve significant consolidation and concentration, and there’s no reason to think that’s going to change, the “clout” of the fishermen in the catch shares-managed fishery is going to decrease as well. That means fewer people in Congress concerned about what the managers are doing, fewer on-shore businesses impacted by management actions, and fewer communities outraged by unnecessarily harsh management actions. So catch shares aren’t better for the fishermen or the businesses that are dependent on the fishery – at least for all of the fishermen who were in the fishery and the businesses that were dependent on it before catch shares were adopted. And the research that’s been done shows that whether a fishery is managed by catch shares or not isn’t significant as long as a hard TAC (that’s Total Allowable Catch) is employed, it’s not better for the fish. What’s the probability of a federal agency becoming involved in an attempt to wrest control of a public resource-based industry away from the communities that have built up around it since colonial times – an industry with a Congressionally mandated role in the management of the resources it depends on – and turn it over to private “charitable” foundations and the business entities they are linked to? If your answer is “pretty low,” give some serious consideration to the following. The David and Lucile Packard Foundation commissioned a study, Financing Fisheries Change: Learning from Case Studies, by Manta Consulting, Inc. that was completed last month (January, 2011). The report, which is available as of this writing at http://www.packard.org/assets/files/conservation%20and%20science/Financing-Fisheries-Change_case_study_report.pdf (if it disappears, contact me and I’ll provide you with the file) lays out in 119 pages how foundation supported ENGOs and the “green” businesses they support can take over recreational and commercial fisheries. This could have the effect of reducing people who were previously independent vessel or fishing-related business owners/operators to wage slaves working for the environmentally correct “company store,” being forced to adapt their methods, their technologies and ultimately their lifestyles to what billionaire industrialists and their heirs deem they should be. Is this anything but elitist social engineering at its worst? In the report, several examples of “sustainable” seafood marketing companies are cited. They got an initial boost from the Sea Change Investment Fund, launched by Packard and California Environmental Associates. It “is funded equally from low-interest Program Related Investment debt from the Packard Foundation and private equity from independent investors.” How would you like to be an owner of a truly independent business and have to compete with a business on the next block that has the Packard Foundation behind it? It’s glaringly obvious that when foundations have billions of dollars in assets, an unprecedented amount of political clout and highly effective PR machines, the potential “encouragement” they are able to offer to what they have decided are acceptable businesses is going to be staggering. It’s going to be particularly staggering if you’re the owner of or if you’re dependent on one of the businesses that is about to find itself with a competitor of such Brobdingnagian proportions. Mega-foundations whose directors in their ivory towers are convinced that they know more than the hundreds of thousands of people who depend on fishing and on healthy fisheries to support their families and their way of life is an issue that’s been studiously ignored by the main stream media. A handful of these foundations have spent tens of millions of dollars pushing their dream of catch shares, the form of fisheries management that is most amenable to this kind of “encouragement,” with no apparent thought given to the human repercussions. But is that all there is? Not hardly! You’re probably aware that some of these “charitable” foundations, generally characterized as anti-fishing by fishermen, are associated with what they call sustainability guides rating various fish and seafood species. Packard is one of them, through the Monterey Bay Aquarium’s Seafood Watch. These guides are compiled with seemingly scant consideration given to whether the fishery is pursued in compliance with the appropriate fisheries management plans, whether it is free of overfishing, or whether it is anything else, apparently, other than what the whims of the people doing the rating dictate. If they like the way the fish are harvested – or perhaps if they like the people who are doing the harvesting – they’ll stamp the products of that fishery as acceptable. If they don’t, they’ll give them the thumbs down. With the increasing market focus on the sustainability of fish and shellfish, itself the response to a huge investment in PR by the same foundations, these “thumbs down” ratings have a significant influence on the demand for the seafood products being rated. This is reflected in the prices that are paid for those products from the boat all the way up the chain. So we have huge foundations spending millions of dollars to convince the public that what they’ve decided is “sustainability” should be the critical criterion when buying seafood and spending other millions of dollars on supporting rating programs that grade whether seafood products should be embraced or avoided by seafood consumers, we have fishermen who are fishing well within the letter of the world’s most stringent array of fishing laws here in the U.S., and there is no connection between the two. The fish labelers at the Monterey Bay Aquarium are ready, willing and able to brand a product “avoid” simply because they don’t like how it’s caught. with a clear conscience and the Monterey Bay Aquarium is saying don’t you dare. Guess which message is reaching more consumers? To collect its own data, the aquarium could have a fleet of research vessels manned by a crew of scientists that no one knows anything about, but operating in a low-profile stealth mode is uncharacteristic of the foundation funded crowd. As the Pew/Oceana folks showed us in the Gulf of Mexico during the BP disaster, when going down to the sea in ships they want their creature comforts with them and they want everyone to know – see The Oil Slick – Oceana scientists “roughing it” in the Gulf at the bottom of the page at http://fishnetlite.blogspot.com/. Minus collecting their own data, the Monterey Bay Aquarium fish raters must be using the same information that NMFS is using. They’re sure coming to different conclusions. So having their own, independently gathered information is probably out. Is it because they don’t like gill nets and otter trawls? They rate black sea bass as a “good alternative,” and they’re caught with otter trawls, as are silver hake (“good”), Alaskan pollock (used in surimi and rated “good”), sand dabs (“good”) and lingcod (“good”). They rate Atlantic croaker a “best choice,” and they’re caught with gillnets, as are bluefish (“good”), Spanish mackerel (“good”) and salmon (“good” to “best”). It’s apparently not the gear being used. Whatever their reasons for this rating, it puts a dent in the demand for monkfish. That’s why they are doing it. This dent in demand is translated into a lower price for the fish that is felt by everyone from the fishermen to the retailers. 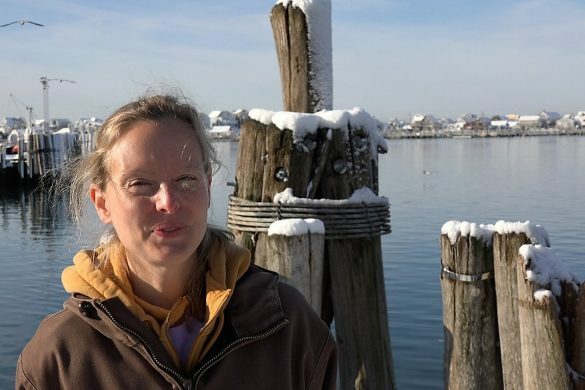 The monkfish fishery is one of the initial candidates for Jane Lubchenco’s catch shares revolution. 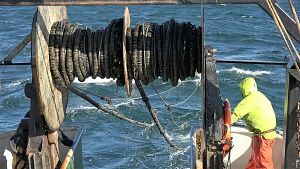 As I’m writing this, a series of public hearings are being held from Maine to North Carolina so that federal regulators can gauge the interest in catch shares in the fishery. If she is successful, rights to the annual monkfish harvest will be divided among some of the “historic” participants. Fitting in with the Packard Foundation’s grand plan for “saving the fisheries” while at the same time turning a profit, this could open the door for green organizations and individuals to start buying control of the fishery. The Packard Foundation has now provided them with a roadmap of how to do this and, based on past actions, might well be willing to provide them with financing as well. The lower the consumer demand for monkfish, the lower the cost for outsiders to “buy” into the fishery. Putting the icing on this particular cake, monkfish are classified as a data poor stock. In other words, the fisheries scientists claim they don’t know as much about the condition of the monkfish population as is necessary to manage them adequately. This being the case, the monkfish quotas are set extremely conservatively. If the scientists were more comfortable with the condition of the stock, if the uncertainty was less, the quotas would be increased, and they’d probably be increased significantly. It’s safe to say that less data = lower quotas = less income to the fishery participants = lower price for acquiring catch shares in the fishery. But is it possible for a foundation – or an ENGO that it supports – to decide to start supporting a massive monkfish survey effort as soon as it becomes a catch share fishery and a bunch of those shares have been acquired by the “right” kind of people, businesses and organizations? Why not? And then monkfish could be taken from the data-poor category, the allowable catch could be increased significantly, monkfish could be promoted to a “best choice” by the fish labelers, the value of the catch shares could increase dramatically, and everyone would be happy – except for the fishermen and the other folks who would be casualties of this green takeover of their fishery. So we’re looking at a possible scenario where the value of the shares in a fishery can easily be driven down by a combination of government and foundation efforts and where the value of those shares can just as easily be increased by making a few adjustments in consumer ratings and research funding levels. These regulations resulted from successful lobbying by the foundation-funded ENGOs, and their heavy-handed implementation has been guaranteed by a series of lawsuits brought by those same ENGOs. 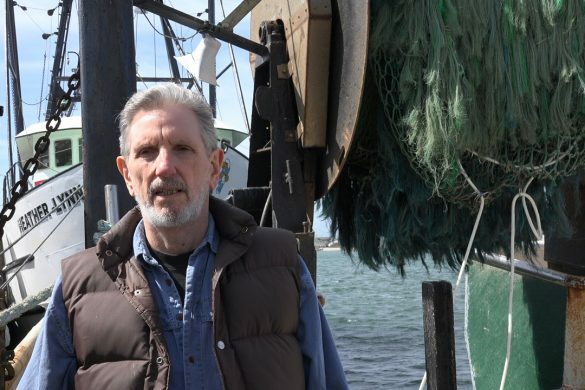 Several of the projects detailed in the Packard report focus on this fishery, and its current dismal condition and future promise (a harvest with the potential to increase at least 400%) would seem to make it a natural for investment. But to allow that investment to be made, guided or encouraged by members of the same complex of foundations, ENGOs, investors and bureaucrats who are responsible for the dismal conditions that exist in the fishery today (and the attendant human suffering) is, or should be, far beyond the pale. As of now, it isn’t. It would seem that a couple of amendments to the Magnuson Act could forestall some serious potential problems. 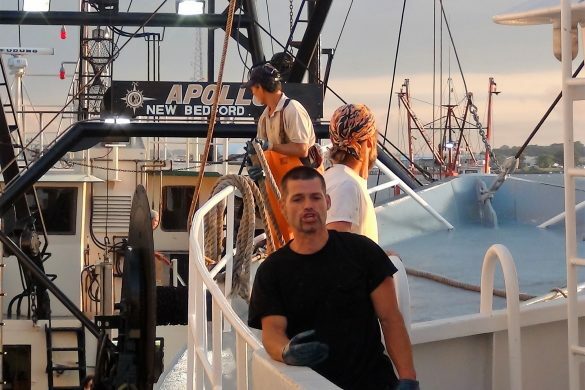 The Act already requires that before any individual quota system is put in place by either the Gulf of Mexico or New England Fishery Management Council it has to be approved by two-thirds of the permit holders in a fishery-wide referendum. This should be expanded to apply to all of the Councils, all of EEZ fisheries and all proposed Catch Share programs, not just those dealing with individual quotas. And any quota acquisition by a non-fishing entity should only be allowed with the express approval of a certain percentage (20%?) of the permit holders in that fishery. 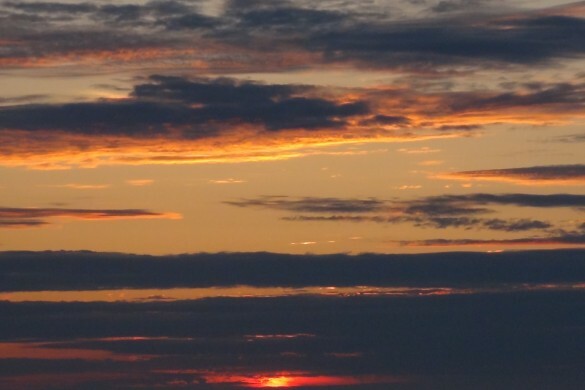 Without these provisions at the least, it’s very possible that the type of speculation that destroyed the U.S. housing market could be inflicted on our commercial and recreational fisheries. Trouble in the catch share paradise or something else entirely? 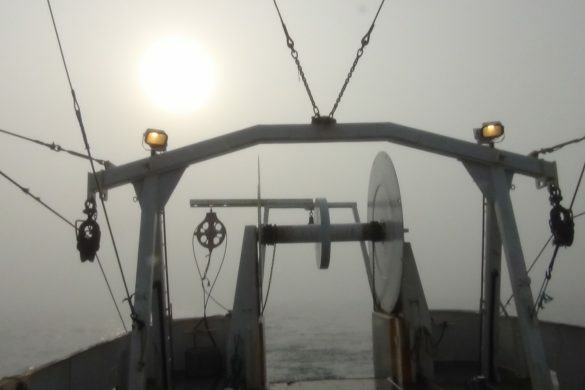 “Fishermen who borrowed money to finance the purchase of “shares” of the allotted halibut harvest are struggling to make payments as the value of those shares goes down along with the harvest. Everything was rosy in the commercial halibut fisheries off Alaska’s shores as long as it was rosy. Now the dark side of what is called “privatization” has begun to emerge. Choo is leaving the Station at http://www.fishnet-usa.com/Future_of_fishing.pdf). And at a national level I suspect I’m at least as well connected to recreational, commercial and party/charter fishing circles as he is. So why is he using such a derogatory and grossly inaccurate description of fishermen concerned about catch shares and the future of fishing? Perhaps for the same reason that his column is accompanied by a half-page illustration of three hovering helicopters in silhouette: a transparent attempt to paint all of the fishermen – and the people in fishing-dependent businesses – who are opposed to any unilateral, top-down imposition of any form of management on their fisheries as over-the-edge extremists and therefore not worthy of anything other than ridicule. That’s called marginalization, and it’s something that the anti-fishing activists, the foundations that support them and the fishermen – and perhaps even the journalists – who they’ve bought off have become very effective at doing. And then Mr. Cunningham gets into funding by the Pew Charitable Trusts of the Environmental Defense Fund (EDF) and other ENGOs that advocate for catch shares, writing “don’t confuse the conspiracy with the truth; we have learned that the last funding happened 10 years ago.” While I find it admirable when anyone admits to learning anything at all, in this instance Mr. Cunningham didn’t learn anything approaching enough. All told EDF got less than $2 million from Pew – minimal dollars in the mega-foundation world (see http://www.fishtruth.net/EnvDefense.htm) – and that funding appears to have stopped in 2004. That’s not quite ten years, but I guess it’s close enough for Saltwater Sportsman. However, EDF has received over $20 million from the Marine Conservation program of the Walton Family Foundation (Walmart) from 2007 to 2009, over $9 million from the Gordon and Betty Moore Foundation (Intel) since 2005 (all of which was for the EDF catch shares campaign), and $1.5 million from the David and Lucille Packard Foundation since 2008. The NFWF lists among its corporate partners Exxon/Mobil, Shell, Chevron, BP, Conoco Phillips and Walmart. That’s either a pretty big bundle of truth that Mr. Cunningham seems to have overlooked or a trophy-sized red herring that he wanted his readers to swallow. While he zeroed right in on the relatively paltry funding of EDF by Pew from way back when, in his zeal to further discredit the “crackpots” he completely missed the boat on $30 million plus in funding for promoting catch shares by other foundations which are apparently working in close coordination with government agencies (the National Oceanic and Atmospheric Administration, parent agency to the National Marine Fisheries Service, is one of the NFWF’s Federal partners). On top of this, NOAA head Jane Lubchenco has transferred tens of millions of sorely needed research dollars from the National Marine Fisheries Service research budget into her catch shares program, and many of these millions are available to the regional fisheries management councils for instituting catch shares programs. I’ve been directly and indirectly involved with the federal fisheries management process since its inception in 1976, and one of the most noticeable changes that it has undergone in the intervening three plus decades is its enthusiastic embracing of rampant bureaucratization. Both NMFS and the regional councils have become administrative empires and are accordingly subject to all of the bureaucratic pressures that entails. Chief among these, particularly over the last several years, are budgetary pressures. Quite simply, the money isn’t flowing from the taxpayers the way it used to. So what impact on the regional council system do you think the availability of millions of dollars to establish catch share programs is going to have? If you are on a regional fishery management council, if you work for a regional fishery management council or if your job depends on the workings of a fishery management council, should you be expected to think anything is more important than swelling the coffers of that council? And, considering today’s economic realities, what’s the only way to do that? Push catch shares, of course. With an arrangement like that, it doesn’t take an edict from on high to make catch shares management the rule. All it takes is an understanding of how bureaucracies work and a cynical willingness to take advantage of that. And we can add to this the fact that, besides providing transportation to and bed and bread in what tend to be fairly nice digs in fairly pleasant locales at least several times a year, serving on a regional fishery management council can contribute significantly to one’s bank account. Because of this, some council members (though definitely not all of them) put a high premium on being reappointed to their council seats when their terms expire. sustainability. These results, … these scientific analyses, … are why moving forward to implement more catch share programs is a high priority for me. 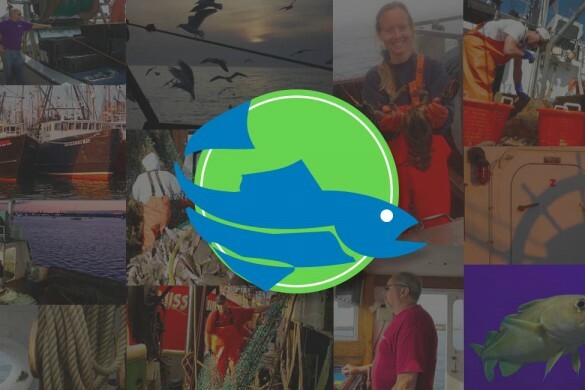 I see catch shares as the best way for many fisheries to both meet the Magnuson mandates and have healthy, profitable fisheries that are sustainable.” How far do you think being a catch share proponent will go in getting someone appointed or reappointed to a council? How far do you think not being a catch share supporter will go in the other direction? And then we have the following three paragraphs taken from the Alex C. Walker Foundation website (at http://walkerfoundation.org/net/org/project.aspx?projectid=81773&p=50769 – emphasis added). The Walker Foundation is a strong supporter of catch shares and other such market manipulations as a way to regulate us and effect social change. 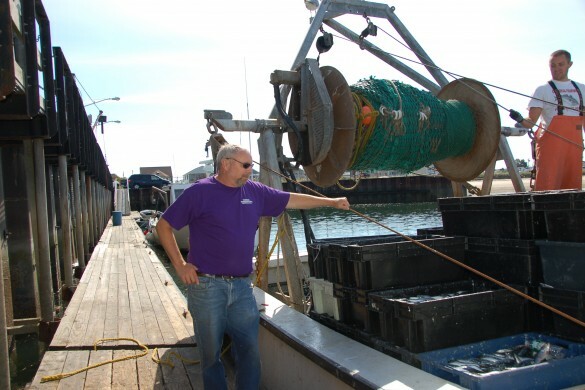 “EDF staff continues to support managers and industry leaders in an increasingly broad and rapid transition to catch shares in many different New England fisheries. We coordinate our policy change efforts with allies including the Cape Cod Commercial Hook Fisherman’s Association, Oceana, Earth Justice, Conservation Law Foundation, the New England Aquarium, and The Nature Conservancy. The evidence that this coordination and cooperation, or whatever it’s called, exists is overwhelming, even without the on-the record recognition of it by the very same groups that are involved in coordinating and cooperating. Arguing that it doesn’t seems an awfully strange role for a publication that claims to be “the fishing authority since 1939.” Perhaps Saltwater Sportsman should stick to fishing. And I would strongly suggest that you etch indelibly into your memory the use of the phrase “anti-regulation crackpots with too much time on their hands and too little brainpower” by someone who serves – and is well paid to serve – on a federal regional fisheries management council. Whether we see the future of fisheries management the way they do or not, don’t we all deserve better from council members than that.